Never been used. 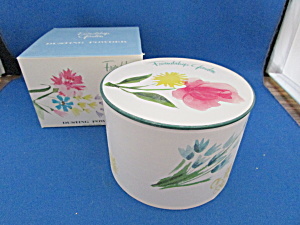 This wonderful Friendship Garden dusting powder would look great on anyone's vanity with such a cute powder box. Powder box is 4" in diameter and all are in excellent condition.